Yesterday, Ythisens posted a question on the WoW forums asking for final impressions on the Mythic+ dungeons. With Legion coming to a close we thought we might try something a little different and collect some specific feedback on things. While we normally are reading tons of posts you guys make and sharing the details internally, we want to try collecting focused feedback to ensure your opinions are being heard. We're still doing our usual methods but want to see if this can be something we use going forward. For the first one we're going to try one focused on Mythic+! We want to hear everything you guys have on this feature we introduced in Legion. What you think it does well, what you think it doesn't, ways you'd like to see it go, how did it work throughout the course of the expansion, etc. Mythic+ dungeons have been my staple end-game content for this expansion. I was able to encourage two co-workers to come back to WoW from a decent hiatus to see the revamped Karazhan dungeon, and they stuck around doing mythic+ dungeons with me since then. We've had our ups and downs. We've had absolutely spotless +15 runs and absolutely atrocious +11 runs in the same week. 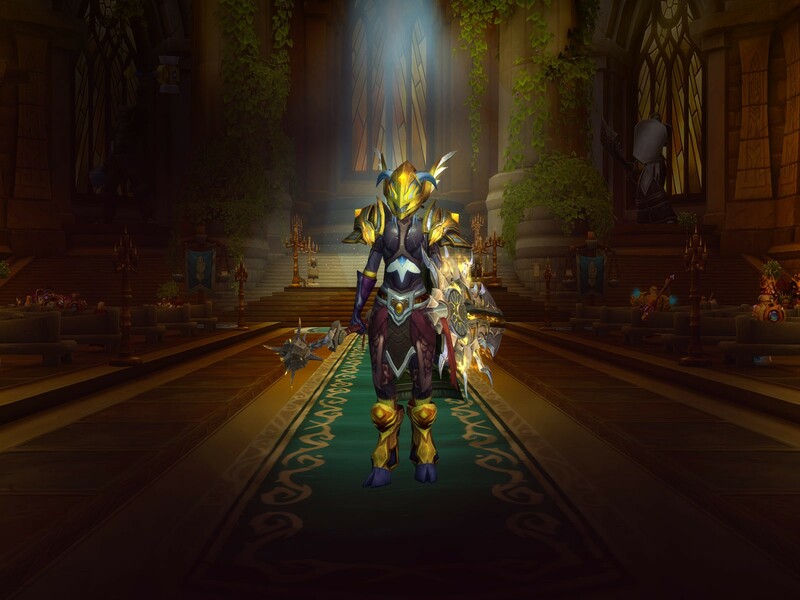 We've had runs were everyone got at least one upgrade and weeks where some of us got absolutely no upgrades (my hunter got 980 mythic+14 titanforged boots and they've never let me live it down). Here's my take on the good, bad and ugly of Mythic+ dungeons for small groups. Small guild/group friendly - My current guild group consists of 3 friends (including myself). This means that we never had enough to fill a raid group. As this would require pugging at least 7, we seldom raided. Sure we all did LFR, and I've seen Normal Antorus at least twice filling in pug spots, but we'll never make up a mythic raid team in our current guild group. Quick Gear upgrades - Upon reaching 110, it is REALLY easy to get a new toon up to a 920-940 gear score, if you have a decent group (and some decent RNG). Alt Friendly - Midway through the expansion, our healer rolled a new character. Using leveling to 110 and relinquisher tokens he replaced most of his boost gear. With two of us in the group fairly well geared up, we could quickly run lower level mythic+ dungeons carrying him as a healer. As he was playing a shaman, I ran my hunter and handed over all my drops that he could use. Within 2 weeks, we'd replaced most of his gear with 930 level items. More variety - Unlike raiding, we were not tied to a specific routine. By the end of the expansion, we had so many dungeon options to run. If the affixes didn't play well with a trash or even specific bosses mechanics, the group could pick a different dungeon to run. Teeming plus Lower Kara, ugh! If we had to pull in a pug, we could choose a lower level key. Mythic+ Dungeon Invitational - This really spotlighted some creative ways to play the dungeons. I was really surprised to see the creative ways that groups would attempt to solve some of the mechanics to get through a dungeon quickly (i.e. EOA-boat skip, invisibility potions, and even purposeful death to trash in order to skip larger portions of trash). My one wish was that this happened sooner!! At the start of the expansion, the guild had the four of us, plus a couple who played primarily PVP. After a few dungeon disasters, the PVPers dropped from the rotation and we needed to pug the last two DPS slots. Somedays you would get an awesome player who did all the mechanics perfectly, and absolutely helped the team finish the dungeon. On other days, you'd get someone who either didn't know the mechanics or didn't care and would attempt to blast through the mechanics. Top it off, if the same guy who disregarded killing the explosive balls caused a wipe(?) then would drop group before completing the dungeon leaving us all in a lurch. Crafted Gear/ Gear tokens / LFR - Very quickly did we realize that mythic+ gear would outstrip the basic gear you could craft, purchase or dropped from LFR. For me, this soured the content. My hunter was 940 by the time I completed opening up the Argus quest chain. He can now solo all the argus world bosses with basic damage mitigation (often by simply letting Bunsen or Cork (fka Chromaggus) tank for me). Why should I even bother running Argus World Quests?? Affix + High keys = Dramatically More Difficult - Our last ALL guild group was a mythic+10 Black Rook Hold. This was our first attempt at a dungeon with all three affixes. At the time, we probably had an average (team) ilevel of 900. Sadly we never made it TO the first boss as the mechanics kept killing us. With the 10, we likely had a fortified key, causing increased trash damage. We now had to worry about pull size and LOS mechanics.. It was a big surprise that we weren't ready for. 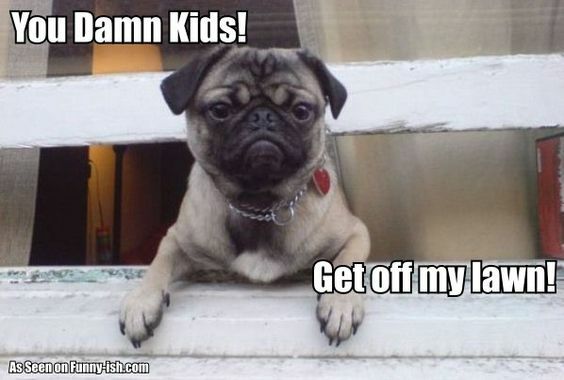 With PUGs it's hard to 'learn' the mechanics first hand. They are not always that friendly to tanks learning the one-shot mechanics. I had to quit playing my protection paladin because I wasn't learning fast enough. Even with DBM, I wasn't predicting the mechanic good enough to avoid dying to it. Over the last few weeks, I've focused on my hunter (with his awesome RNG luck) and let a guildie to tank (on his blood DK). Mythic RAID vs Mythic+ dungeon - Unfortunately there's still a stigma that dungeons are inferior to raids. I've completed a Mythic+15 dungeon on time, but I can't easily get a normal Antorus pug invite because I don't have AOTC. From my experience, the mechanics of mythic+ dungeons have taught me skills that I've never really needed before. Using my hunter's frost trap and feigning death to skip trash packs after everyone's passed. Using protection pally damage mitigation abilities only when needed and not on cooldown (seems obvious, but not something I worried about until dying to one-shot mechanics on a +15). I can't speak to my ability in an actual mythic raid, but I do feel comfortable that I can kill Serpentrix on Mythic+13 and still get a +2 chest (oddly with only one of my legendaries equipped because I just tamed Fenryr). Rush, Rush, Rush - The former guild leader came back to WoW after almost a year hiatus. She was absolutely down with running dungeons, learning the mechanics and taking down bosses. Unfortunately, after several runs of the same dungeon, even with new affixes, it got boring. There were no mechanics involved, but simply steamrolling the trash and boss as quickly as possible. Sadly she left before 7.3.2 caused all of the dungeons to be much more difficult. If she did stick around, I think she would have really enjoyed running Nighthold and we may have raided more. Overall, the Mythic+ dungeon process has been fairly pleasant. Add-ons like Raider.IO's Mythic+ scores have helped with pulling in pug'd players. Late in the expansion, we're starting to see people with high raider.io scores, but no skill (IMHO a bought +15 run). I believe that the 'community' UI coming in BfA may help with this as well. I personally believe that my group's primary reason for not reaching higher keys is group consistency. If we had 5 reliable players, we could communicate reliably, accept some loss to learn the mechanics and everyone profits. Having to fill positions each time, kept us from exceeding +14 comfortably. Some affixes are absolutely unpuggable, especially without voice communication. This week's affixes have me cringing with Explosive + Teeming + Fortified. More Trash and More Health = More Explosive Balls. This goes back to a reliable communicative group. Without everyone on discord(?) we are limited to calling out on type-chat. I don't know about you, but running from snake vomit and tab targetting and calling out BALLS! in chat is just too much to do. Mythic+ dungeons are the direct child of challenge mode dungeons from MoP. With the challenge modes, we had direct rewards (achievements, mounts, cosmetic appearances, etc.) for completing a dungeon in a specific time. I'd love to see some of this brought back to Mythic+ dungeons. I feel that the higher level dungeons, require a level of commitment and dedication. They are similar to raiding and could easily have 'similar' rewards. [Keystone Master] rewarding the nice artifact appearance was nice. How about a title 15+ on multiple dungeons? 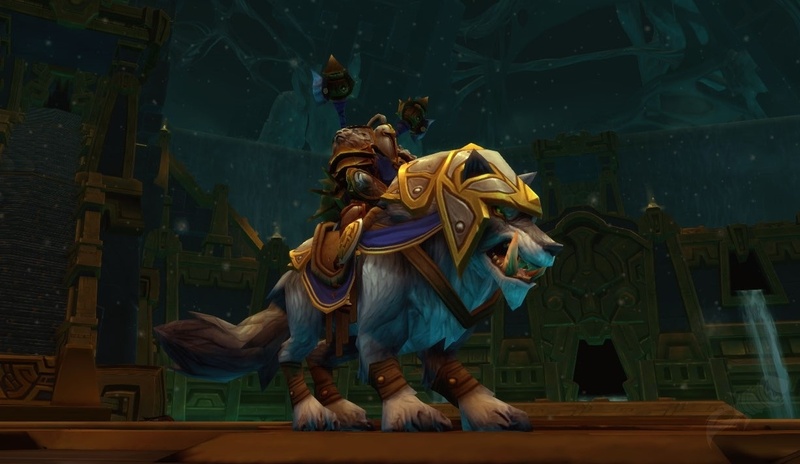 Mount for completing ALL dungeons at 15+? (I request to be carried around by the Curator). I've been reading the other (22+ pages) of posts and want to provide my opinion on these. "Mythic+ dungeons should never reward gear higher than Heroic/Mythic raids." If you lower the ILVL of the rewards, you will remove the incentive. If you remove the incentive, you'll have less prepared people running high key Mythic+ dungeons. If you have less well-geared people running Mythic+ dungeons, you'll only have masochist and under geared people trying to push higher keys. Personally, I would not still be running mythic+15 dungeons if I only got a piece of 915/930 gear from the Tuesday loot box. They are much too complicated to pug solo and the guild group would be in my same situation. I've already started working on other things like leveling an alt, working on taming a few more legion pets and finalizing those mage tower appearances that I still want before BfA. "I need to run mythic+ dungeons to be competitive in raiding." That is an option. So was doing PVP back in Warlords. Running 10-man and 25-man raid back in Wrath. These are all gearing strategies that people will exploit if they exist. A mythic+15 dungeon with a good (heroic raid buffed) group should take about half an hour. (what's another 30 minutes on Monday night after your raid?) The MDI shown people running +20s in less than 20 minutes. Honestly, how is this not part of someone's normal rotation? Of course, if they are running Mythic raids after the average player's score reaches 950/960 would be solely based on replacing items with a warforged or titanforged item. If you are LOOSING people from the raid group, because of Mythic+ dungeons? "Mythic+ dungeons led to a heroic dungeon go-go-go mentality." One must not forget that this is the end of the expansion. Most players in 930 gear could solo a mythic 0 dungeon (I just tamed Fenryr, remember?). Heroic dungeons are a step lower in difficulty and item drop levels. The ONLY reason I am running a heroic dungeon at this point in the expansion is for the 20-30 wakening essence rewarded at the end. AP, Legendary drops (so very rare), and loot are all but pointless. A heroic dungeon rewards, what 1 billion AP(?). I get more from my class hall quests. The loot is all sub-880 gear, aka vendor gold. The extremely rare chance for a legendary drop isn't worth it personally. "blah blah class balance blah blah"
We experienced this. Our healer spun up a new toon for Legion as a mistweaver monk. 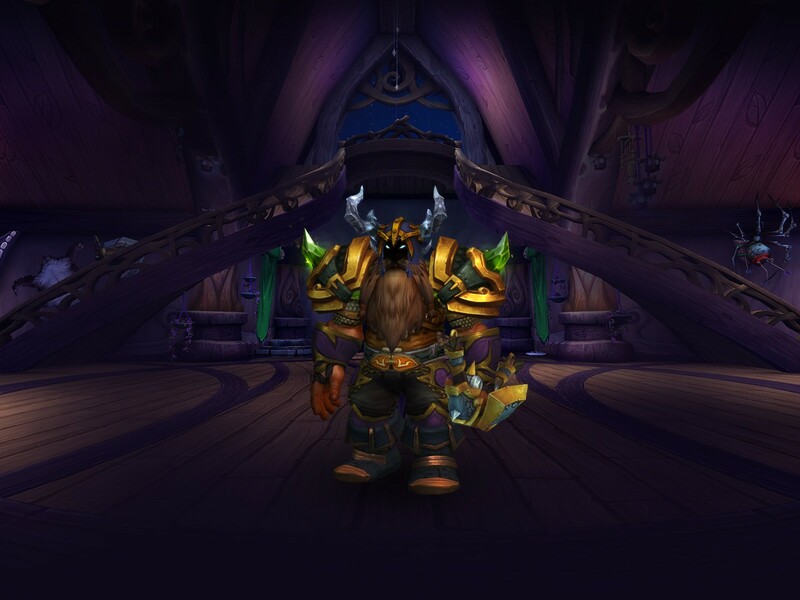 He had a lot of fun for most of the mythic dungeons, but never felt well equipped. He ended up boosting a resto shaman. He had raided as resto shaman back in Wrath(?) so this was an easy transition. He felt the AOE heals of the shaman were easier and more useful in mythic+ dungeon situations.